WE OPENED A BOX OF THE MOST BEAUTIFUL BLANKETS THIS WEEK AND WANTED TO DIVE RIGHT IN! WE GET A SMALL BATCH FROM MACAUSLAND'S WOOLEN MILL EACH FALL. THEIR HAND-WRITTEN INVOICES AND PERSONAL TOUCHES MAKE IT AN EXTRA SPECIAL ORDER AND IT MEANS THE HOLIDAYS CAN'T BE FAR OFF. THIS YEAR WE HAVE QUEEN-SIZED BLANKETS AND BOY ARE THEY GORGEOUS! 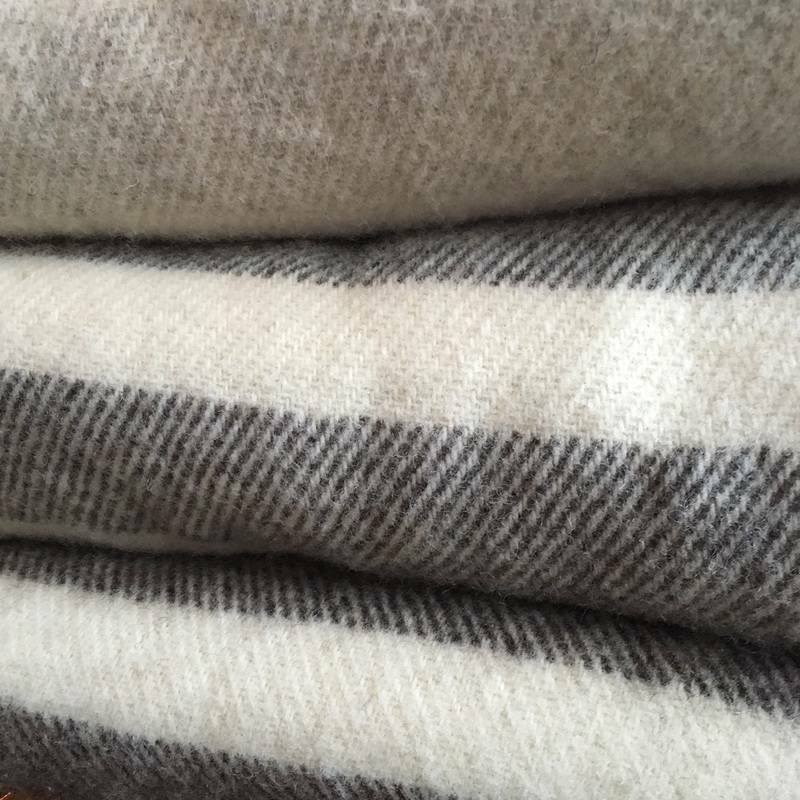 EACH IS NATURAL, UN-DYED WOOL IN EITHER CHOCOLATE BROWN, SLATE GREY OR CREAMY, LIGHT GREY. COME IN AN TRY ONE OUT ON THE COUCH BEFORE WE FILL IT UP WITH THROW PILLOWS!